Logan, an 8th grade homeschooler has us look at what is happening in his community by doing What’s In Your Water Science Fair Project. Here in the city of Dublin, Georgia, our water comes from the Oconee River. It goes through a plant where they treat it and send it to our homes. The people who have wells get their water from an aquifer or underground stream. You may think that bottled water is better, but it is really just city water. All these kinds of water have one thing in common–bacteria. The only way to find out if your water has bacteria in it is to test it. That is what I did with this Science project. I took samples from city, well, bottle, river, pond, and rain and tested them in pretreated petri dishes for bacteria. I hypothesized that the bottle water would have less bacteria than the other water samples because it is chemically treated and prepared for public consumption. Another hypothesis was that in the testing of the samples, pond water would have more bacteria than the other water samples because pond water sits still allowing the bacteria to grow. I observed each sample over a three day period and recorded my findings. From the data I gathered, my first hypothesis was correct that the bottled water would have the least amount of bacteria of the six water samples gathered. My second hypothesis, that the pond water would have more bacteria than the bottle, city, well, river, or rain water, was incorrect. The river water had more bacteria than the other samples. 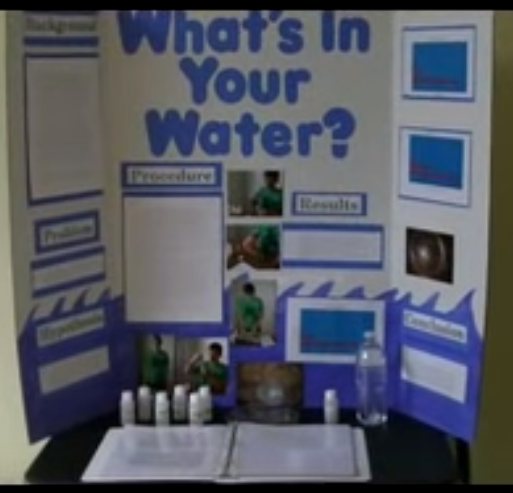 This entry was posted in abstracts and tagged how to test bacteria in water for science fair, water science fair projects, what's in your water science fair projects.